Be careful what shows up in your photos on CL. People notice things. As for free stuff, I use curb alerts. I put this stuff out at the curb at a certain address. May or may not be my address. 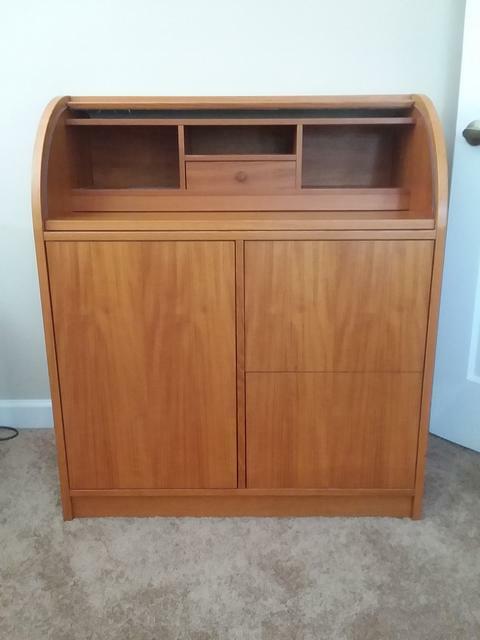 I post on Craigslist that it’s there, first come first served and post that I will remove the ad if I happen to go by there and the stuff is gone. No guarantees. I answer no emails. That seems mean. But I understand the motivation. I post items on the local FB group for free, and offer them to the first taker who responds publicly. That way nobody wastes their time, including me. You've heard of Naked Teapot Man? pj, citizen-poster, unless specifically noted otherwise. When a door closes, a can of worms opens. No, but I did a search and am all caught up. I just listed an Ikea chair and ottoman for $75 which is a screamin' deal -- less than a third of new price for a like-new chair. "Hello, I want them for $65.00. I can pick them up on the way home from work." Ummmm... I did say "make a reasonable offer". I'm just a little taken aback by the terse reply and the five-year-old-esque "I want them for $65". I told him/her that later in the week I might come down to $65. He/she has a Vietnamese name. Maybe this is as much English as he/she can manage and I am being a bit judgey. I always ask, "would you consider $65?" I had a feeling this was going to be an easy sale. Got two responses within an hour of listing the desk. One looked like a scam ("I'm interested in the item. What's your mobile number?") and the other was straightforward ("I'd like to come see your desk on Friday morning. Are you available?"). Goodbye, little desk. You got a new home with some really nice people. We had a similar desk. Love that desk. Responses to free things are all over the map. I learned to stop offering it to the first one who asked for it, but instead to wait ~ 12 hours, and weed thru the replies for the one that looked most solid. The rate of on-time pick-up went way up after that. I've noticed phone replies tend to be terser - I think its just because its harder to 'type' on a phone. 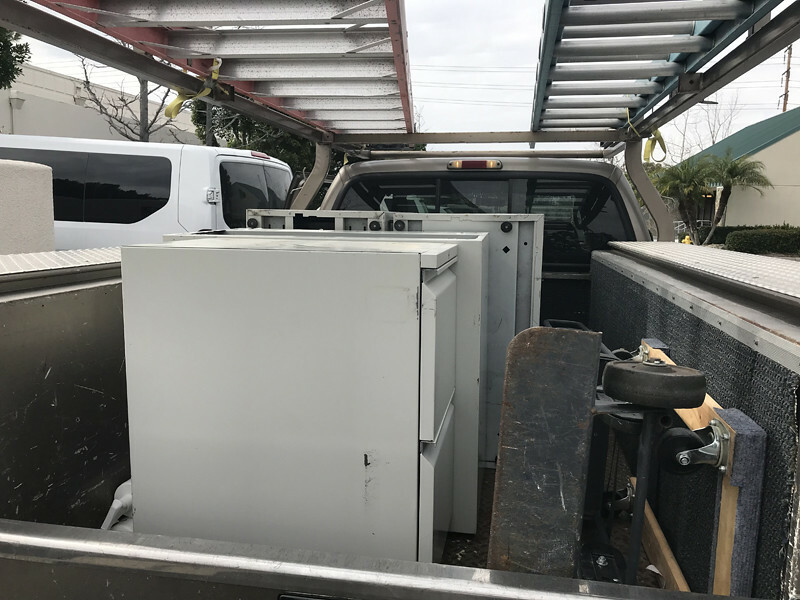 I just got rid of a truck full of short file cabinets destined for the dump. The dump fee would have been about $90 at the transfer station or $55 at the County Landfill some miles away and ankle deep in mud. Scrap value would be less than $10 and it would take an hour or more in line at the recycling center to get that. I didn't even take them out of the truck before I listed them for free on Craigslist. Got three responses in 15 minutes and pulled the ad. The first guy said he would come by in an hour but he didn't so I had the second guy to come get them. He even loaded and unloaded them himself. I asked how he made any money doing this with scrap prices so low. He told me that the scrap place I go to is a rip off and that people who have an account get more for their scrap than people who don't. He also gave me his phone # so he can come and pick up scrap directly. One of our previous houses in Tempe backed onto a large back alley (a remnant of a previous canal). It was pretty standard knowledge that if you put anything in that alley, it would be gone the next day, picked up by someone (not the city, but individuals). I thought it was a great arrangement. People just leave stuff at their curb here. Often it gets picked up by passers-by. We got rid of an old broken down Victorian desk (don't know why anyone would want broken), and Victorian oak office chair (possibly repairable, but not by us). Also on Saturdays the city will pick up large items left at the curb, including things like refrigerators & couches. Judging from the other ads on CL and the responses I got, the Poang rocking chair is the global favorite of nursing mothers. I sold it to a fellow who was buying for his wife and newborn. He met me at my office. I had the chair dismantled. He put it in his car, gave me $80 (which I didn't realize until he'd left) and didn't ask for change. It went to a good home. A couple months ago, I bought a new(er) washer and dryer off CL for $500. I dragged the old Magic Chef units up to the driveway and listed them for $50 for the pair. In less than a day, two guys and a pickup showed up, handed me the money and drive off with the appliances. All he said was "my wife told me to come get these NOW." I too have been astonished at what's picked up around here - on what the trash collectors call "Riff Raff Day". There's scarcely anything left by the time the truck comes around. It really gives pause for thought, RP. Things are truly different. So sad. And they're largely invisible if they aren't on the streets. I just hate it. I often worry about my finances, but when I am confronted with this new fact, I have trouble absorbing it. Often seems we're moving to Calcutta. I used to wonder how middle class Indians managed going about their business being surrounded by beggars. An Indian friend at university (rich) told me with some apparent surprise, "we just stop seeing them". Suspect we are getting there. "Compassion fatigue" seems likely to be what trickles down most in our current society. I was shocked reading from PJ that Bezos had torn down a homeless shelter in Seattle to put up a luxury highrise for Amazon employees. Promised to replace it, and didn't follow through. Seems we may need a population of "ghosts of X [instead of Christmas] future" to issue a warning to us all. I used to think Tiny Tim was everyone's conscience, but now he's all over. This listing cracked me up.